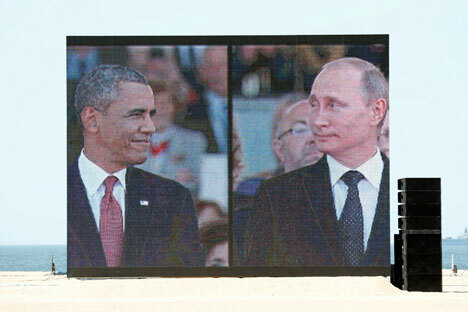 A new survey published by Gallup on Feb.16 declared Russia as Public Enemy No. 1 for Americans. Eighteen percent of respondents named Russia when asked the open-ended question: “What one country anywhere in the world do you consider to be the United States' greatest enemy today?" North Korea came in second with 15 percent, followed by China (12 percent) and Iran (9 percent). Three years ago, only 2 percent of respondents named Russia when asked a similar question; that number increased to 9 percent in 2014 as tensions between Russia and the U.S. rose over the crisis in Ukraine. What is behind anti-Americanism in Russia? The poll was conducted between Feb. 8-11, just before a new ceasefire agreement was brokered between Ukraine and pro-Russian separatists in the Donbass region of eastern Ukraine. According to Gallup, Americans have also become significantly more concerned about Russia’s military power. Forty-nine percent of respondents consider the Russian military a critical threat to the U.S., compared with 32 percent a year ago. Despite the increase in negative perceptions of Russia, most Americans still consider other international challenges as bigger threats, including terrorism generally, ISIS specifically, and Iran's development of nuclear weapons. The Gallup poll also showed that only 24 percent of Americans viewed Russia favorably, while 70 percent viewed the country negatively. This is the most negative Russia has been viewed in the organization’s 26-year history. Russia's favorability rating has declined 10 points in each of the last two years. Only three years ago, however, more Americans were inclined to see Russia positively than negatively. Americans' opinion of Russian President Vladimir Putin are even worse than their view of the country generally. Only 13 percent of American have a favorable view of Putin, compared to 72 percent who have an unfavorable view of him. At the same time, the results of a recent Russian survey show the feelings are mutual. According to a poll on U.S.-Russian relations published by the independent Levada Center on Feb. 9, only 13 percent of respondents viewed U.S. positively, while 81 percent have negative views. According to Levada only 4 percent of respondents characterized Russian-American relations as friendly, good and normal. Thirteen percent said relations were “chilly,” 37 percent, tense and 42 percent, hostile. Results for the Gallup poll were based on telephone interviews conducted Feb. 8-11, 2015, with a random sample of 837 adults, aged 18 and older, living in all 50 U.S. states and the District of Columbia.